Ask anyone what their favorite season may be and many will quickly tell you it’s Summer. Along with the warm weather comes the joyous sounds of baseball games, barbecues and grandchildren playing outside. Also, many people take advantage of their free time to enjoy the sights and sounds of travel. For many, summer travel may just involve short getaways to the lake or ocean. For others, it involves hitting the road and covering hundreds of miles to see new and exciting destinations. No matter where you went this summer, we want to learn about your recent travel experience. What were the favorite sounds from a recent trip? Was it the sounds of nature, the sounds of laughter or anything else? Comment below with your thoughts or, better yet, enter our Facebook contest for a chance to win a $75 gas card! 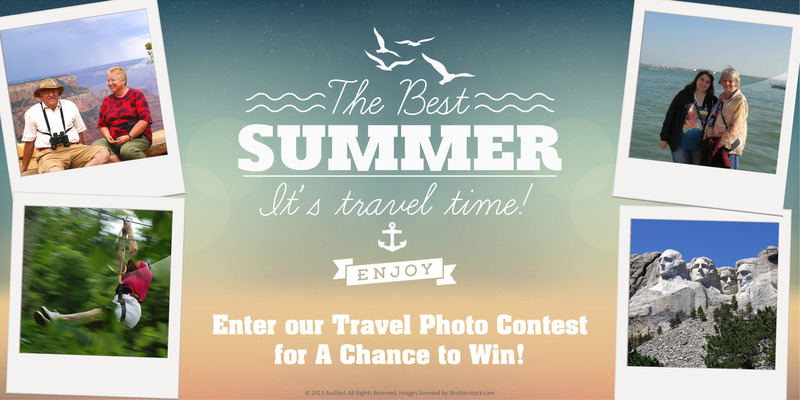 Our fun and interactive Summer Travel Photo Contest on our Facebook page for any of our current or new fans to enter. Each fan can enter one photo depicting their favorite ‘hearing moment’ from a recent Summer trip and also participate in the voting to help determine the winner. A few have already shared some of their favorite sounds of Summer from a recent trip they captured which have included children playing by the ocean, the sounds of joy in catching a big fish and excitement from a 4th of July parade. Turn the sounds of the Summer season into a chance to take one more trip this Summer. The contest runs until September 9 so take advantage of the next couple weeks to enter the contest. Simply click this link and then upload a photo from your computer along with typing in your description. It’s just that easy and if you run into any difficulties email our support team at audibel@audibel.com and we will be glad to assist. Good luck and happy travels!